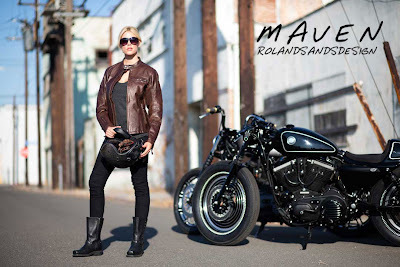 RSD took classic Café’ racer styling cues and created a jacket that is form-fitted to the female body shape. Functionality first, but awesome good looks are a very close second place. 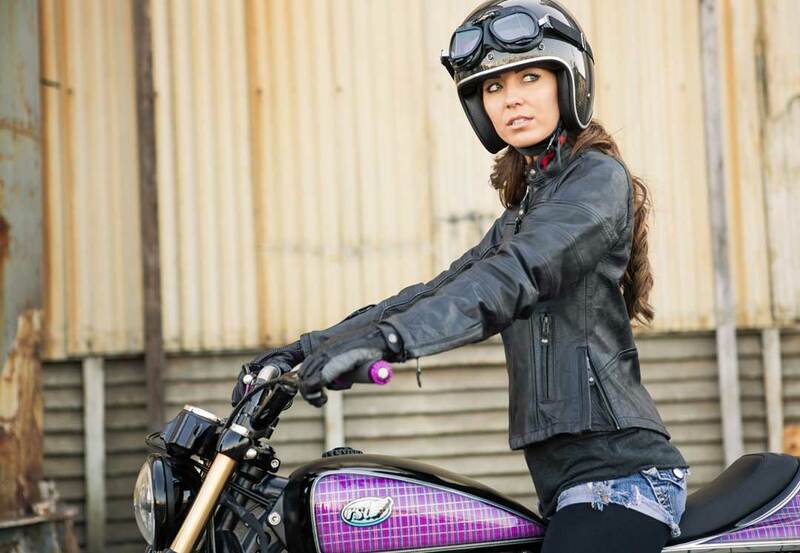 An adjustable zip waist and comfort flex panels under the arms at the chest enable women riders to further tailor the Roland Sands Design Maven to their form. Pre-curved sleeves, relaxed collar and a dropped back are part of the performance riding fit designed into this new RSD Maven jacket. 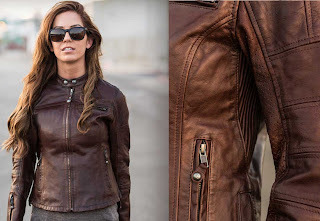 Additional highlights for real riders in this Roland Sands Design Maven Jacket include pockets in the elbows, shoulders and back for optional RSD armor inserts. Zip-close cuffs, interior stuff pocket, zippered front pockets and even a sleeve zip pocket are nice touches as well. Perforated leather trim and a gold satin lining complete the package of this Roland Sands Design Maven Jacket. 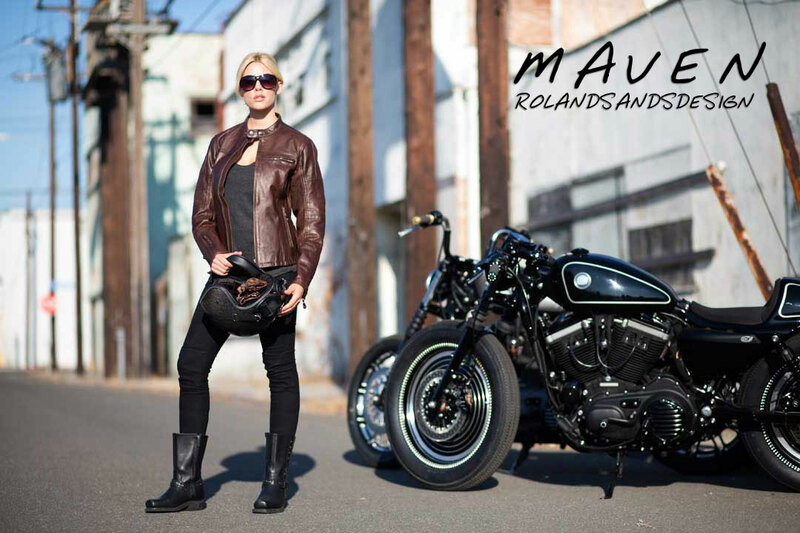 As with any piece in the RSD line, the Maven is riding gear built with a parallel of fashion and function. Ensuring that the this Roland Sands Design Maven Jacket feels as good as functions, it is constructed of 1.1mm/1.3mm top grain cowhide. The natural properties of RSD leathers, combined with their specialized hand-finishing techniques, mean that every single leather panel will be original and look slightly different in terms of shade. 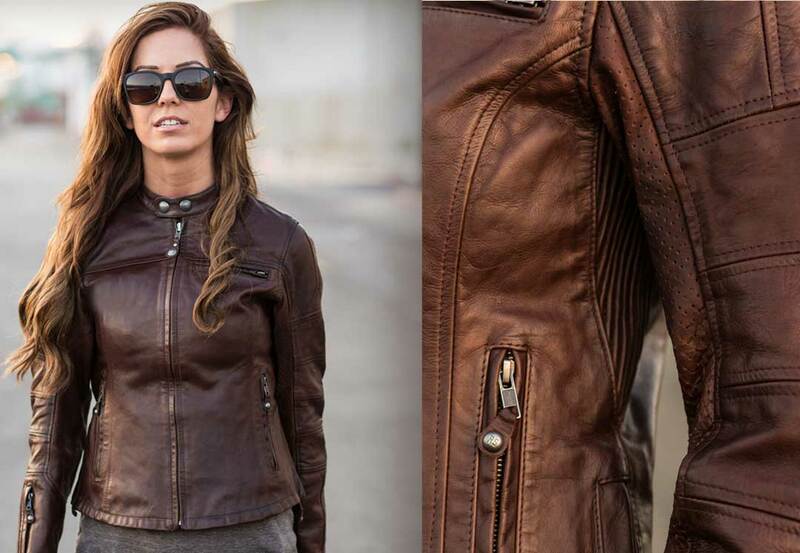 The leather of this Roland Sands Design Maven Jacket is pre-oiled, washed, then hand-finished with wax and oiled again. The finish will react differently depending on climate, amount of usage and age… guaranteeing each Roland Sands Design Maven Jacket really is one of a kind. Although the RSD Maven looks and feels like a million bucks, MSRP is only $560. The Roland Sands Design Maven Jacket is available in a full range of sizes and a choice of Black, Tobacco and Cream (with Oxblood coming in the spring of 2013).